The lovely folks at The PC Customiser and Gigabyte have teamed up with bit-tech to offer our readers a great prize: a fully built VR-ready gaming PC! You'll find the full system specifications below, but with its Gigabyte RX 480 G1 Gaming graphics card, it more than meets the minimum requirements of both the HTC Vive and Oculus Rift headsets, getting you halfway towards an awesome VR setup. Alternatively, you could just plug it in to a standard monitor and be assured of some awesome gameplay in all the latest titles at 1080p and even 1440p. A slightly better stocking filler for you or a lucky family member than a dried out orange, wouldn't you say? Based out of Bolton, UK, The PC Customiser offers a wide range of pre-built systems and components via its brand new website, which also sports a highly intuitive system customiser interface so you can pick and choose the exact components that work for you. You can customise existing systems or start completely from scratch using a gamified interface - have a play with it here. Systems can be purchased on finance, and custom systems all come with free delivery and a full three-year warranty for UK customers (covering parts, labour and collect & return). You can also find and contact the company via its social media presence on Facebook, Twitter and Instagram - give it a like a follow to stay up to date with their latest news and offers, or just to say thanks. Thanks also go out to Gigabyte, without which this competition would not have been possible. You can keep up to date with Gigabyte on Facebook and Twitter too, with a follow or a like allowing you to stay on top of all the latest product information - especially important with so much new hardware on the horizon - and be informed of more competitions like this one. 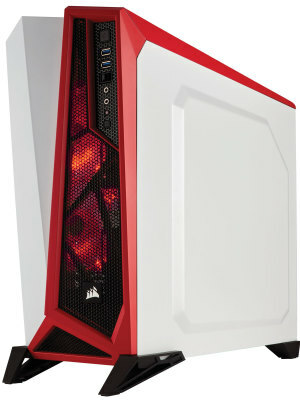 With a retail value of £945, we're sure you'll agree this is a very generous Christmas giveaway from The PC Customiser. Better yet, all you have to do to take advantage of it and be in with a chance of winning is answer the simple question embedded below. Be sure to read the full terms and conditions before entering. The prize draw is open to UK RESIDENTS ONLY aged 12 years or over. The competition winners will be picked at random from all eligible entries that arrive by midnight of the closing date, December 22nd, 2016. Only one entry is permitted per household per bit-tech entry form. Duplicate entries will result in disqualification. The winners will be notified via email by December 23rd, 2016. The winners must claim their prize within 14 days of the promoter sending notification. If any prize is unclaimed after this time, bit-tech reserves the right to offer the unclaimed prize to a substitute winner selected in accordance with these rules. 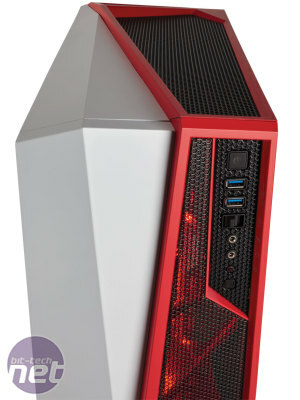 The winner will be eligible for one custom-built system from The PC Customiser, as detailed above. Prizes will ship to winners within 45 days of prize acceptance, though we aim for much sooner. Prize draws are not open to employees of bit-tech and their affiliates, agencies, suppliers, sponsors or employees' immediate families.